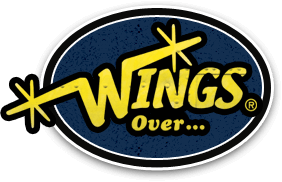 Wings Over Rochester is the local location of the Wings Over restaurant franchise. They serve chicken wings, boneless wings, ribs, sandwiches and fries. A variety of wing sauces are available. They offer delivery and online ordering. They opened on October 3, 2011 in the former KFC location on West Henrietta Road in Henrietta. 2011-12-28 01:30:38 Sure, the ads say they cook everything fresh. Our wings weren't crisp at all. In fact, they had a bit of slime factor to them. We mixed flavors (which is a great option that many wing places don't offer), but they were all in one box with no labels. The waffle fries were very chewy.